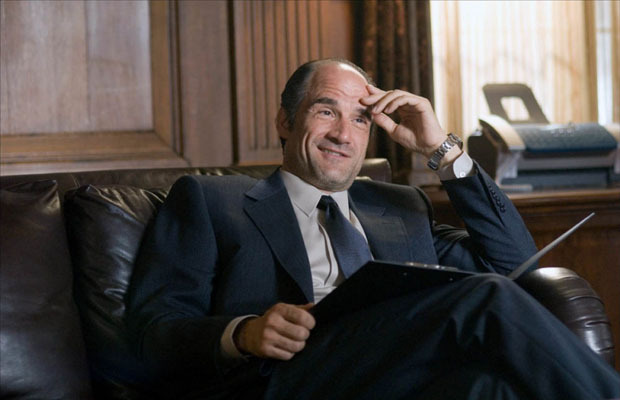 Known as one of Canada’s most talented and versatile actors, Elias Koteas was born on March 11, 1961 in Montreal, Quebec to a father who worked as a mechanic and a mother who was a milliner. Koteas is of Greek descent from both his parents’ side and speaks fluent Greek. As a child, he was extremely shy and originally planned to become an architect however that changed when his passion for acting took over. He claims to have been particularly inspired to act after watching Nick Nolte perform in the series, “Rich Man, Poor Man”. Koteas first attended Vanier College however in 1981; he shifted to New York to attend the American Academy of Dramatic Arts. During his time there, he was a part of the school’s production company. He has also attended Actors Studio, studying under Ellen Burstyn and Peter Masterson. Elias Koteas was a part of his school’s production play titled “The Devils”, where he played the role of Father Rangier. Following that, he appeared in a number of plays including, “The Golden Apple”, “Kiss of the Spider Woman” and “Death of A Salesman”. The actor soon made his transition from theatre to television and movies. He made his debut in 1985, with Mary Steenburgen in the movie, “One Magic Christmas”. Following that, he was engaged in numerous supporting roles in movies like, “Gardens of Stone” and “Some Kind of Wonderful” in 1987 and “She’s Having a Baby” in 1988, amongst others. Subsequently in 1989, he received his first nomination at the Genie Awards for his work in the movie, “Malarek: A Street Kid Who Made It”. By now, he had established himself as a promising actor and he garnered even more fame and success for himself with his work in the movie, “The Adjuster”. In 1994, he appeared in Atom Egoyan’s movie, “Exotica” which led him to earn another nomination at the Genie Awards. The success of the movie opened up more doors for him in the film business and soon he was appearing in major productions. One of the roles Elias Koteas is famous for is his portrayal of Casey Jones in the movie, “Teenage Mutant Ninja Turtles” in 1990. However his popularity in the US stems more from his work in Terrence Malick’s movie, “The Thin Red Line” released in 1998. Furthermore, the movie gave him the opportunity to work with Nick Nolte, the actor who was the inspiration to him while growing up. Another major role that Koteas performed was that of Vaughan in David Cronenberg’s movie, “Crash” in 1996, which earned him critical acclaim. Some of his other movies include, “The Fallen” in which he played the role of a serial killer, “Shooter”, “Let me In” and Shutter Island”. In 2003, he earned himself the Genie award for “Best Supporting Actor” for his work in the movie, Ararat in 2002. In 2009, he and rest of his cast members were nominated at the Screen Actors Guild Awards for “Outstanding Performance by a Cast” for the movie, “The Curious Case of Benjamin Button”. Some of Koteas’ recent works include his appearance in the movie, “Winnie Mandela” in 2011 where he played the role of Colonel de Vries. He has also appeared in numerous television series including, “The Sopranos”, “House”, “Conviction” and “CSI: NY”. In his personal life, he was married to Jennifer Rubin, but the couple soon got divorced.